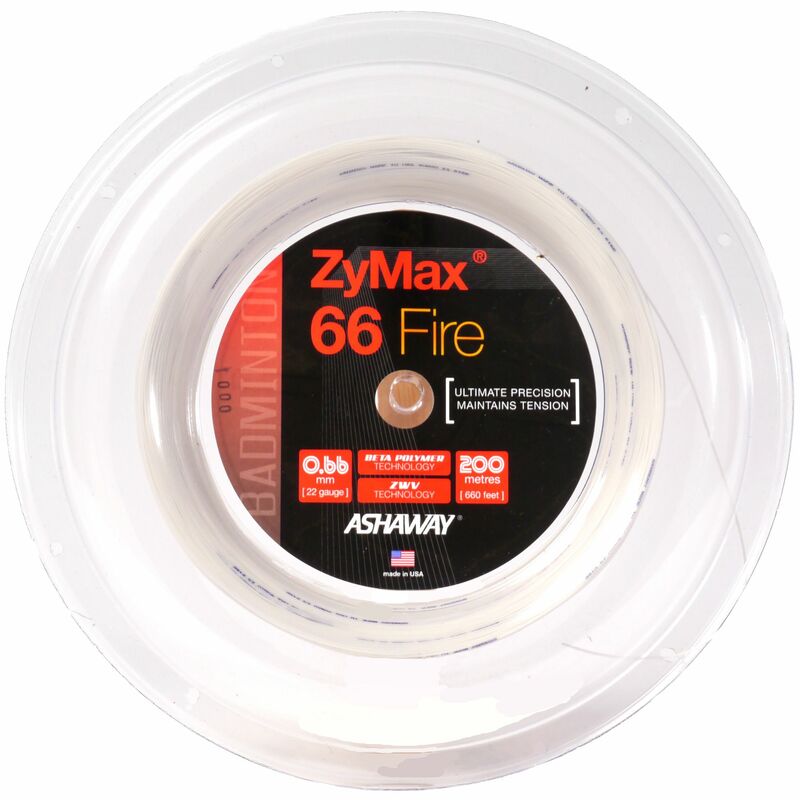 The Ashaway Zymax 66 Fire badminton string is designed for players searching for reliable performance, excellent control and tension stability, as well as a great feel. Featuring a ZyWeave core to prevent tension loss during stringing and restringing and revolutionary BETA Polymer technology for added strength, improved elasticity and dynamic stiffness, the string is suitable for precise shotmaking and comes in a 200m (656ft) reel. for submitting product information about Ashaway Zymax 66 Fire Badminton String - 200m Reel We aim to answer all questions within 2-3 days. for submitting product information about Ashaway Zymax 66 Fire Badminton String - 200m Reel. We aim to answer all questions within 2-3 days. If you provided your name and email address, we will email you as soon as the answer is published. 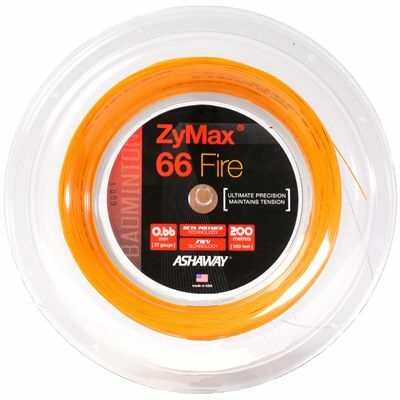 for submitting product review about Ashaway Zymax 66 Fire Badminton String - 200m Reel.